Titanate sol–gel layers imprinted with carbonic acids were used as sensitive layers on quartz crystal microbalance. These functionalized ceramics enable us detection of volatile organic compounds such as ethanol, n-propanol, n-butanol, n-hexane, n-heptane, n-/iso-octane, and n-decane. Variation of the precursors (i.e., tetrabutoxy titanium, tetrapropoxy titanium, tetraethoxy titanium) allows us to tune the sensitivity of the material by a factor of 7. Sensitivity as a function of precursors leads to selective inclusion of n-butanol vapors down to 1 ppm. The selectivity of materials is optimized to differentiate between isomers, e.g., n- and iso-octane. The results can be rationalized by correlating the sensor effects of hydrocarbons with the Wiener index. A mass-sensitive sensor based on titanate layer was also developed for monitoring emanation of degraded engine oil. Heating the sensor by a meander avoids vapor condensation. Thus, a continuously working oil quality sensor was designed. This paper is dedicated to the memory of Prof. Dr. Walther Jaenicke. 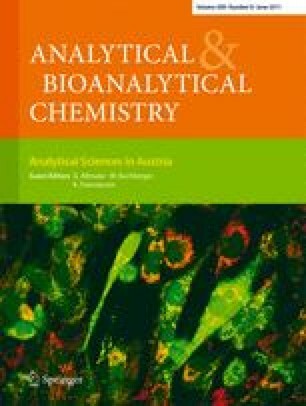 Published in the special issue of Analytical Sciences in Austria with Guest Editors G. Allmaier, W. Buchberger, and K. Francesconi.